At the beginning of the play, Macbeth is a brave and loyal Thane to King Duncan. 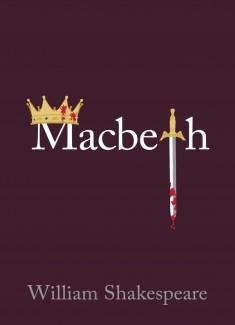 After hearing a prophecy that he will become king himself, Macbeth is overcome by ambition and greed. Bolstered by the prophecy and his wife’s encouragement, he kills King Duncan and takes the throne. Afterwards, Macbeth’s guilt, fear, and paranoia lead him to commit even more murders to secure his power. His confidence in the prophecies eventually leads to his downfall and he is overthrown and killed by those he has wronged.